A U.S. Navy destroyer today sailed within 12 miles of a disputed artificial island claimed by China in the South China Sea, according to a U.S. defense official. The USS Mustin's passage past Mischief Reef in the Spratly Islands is the latest Freedom of Navigation Operation (FONOP) conducted by the U.S. Navy in the South China Sea in disputed waters claimed by China. The U.S. ship also conducted maneuvering operations as it sailed past the artificial island, the defense official said. Mischief Reef is one of seven artificial islands built up by China in recent years to press their territorial claims to the island chain. File photo of The USS Mustin during a port visit to Hong Kong Nov. 8-12, 2013, while the ship was assigned to the USS George. 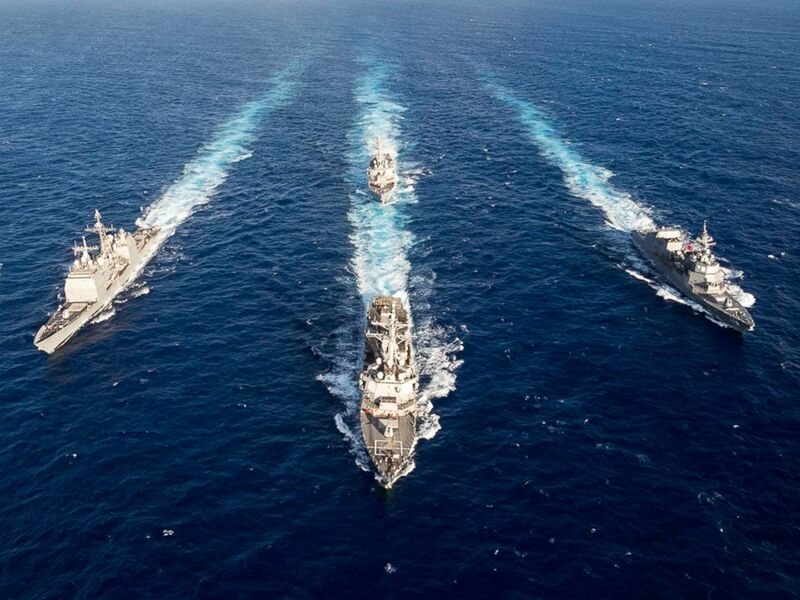 The Navy carries out FONOPs around the world to challenge excessive maritime claims made by countries, but the operations directed at claims made by China draw the most attention. 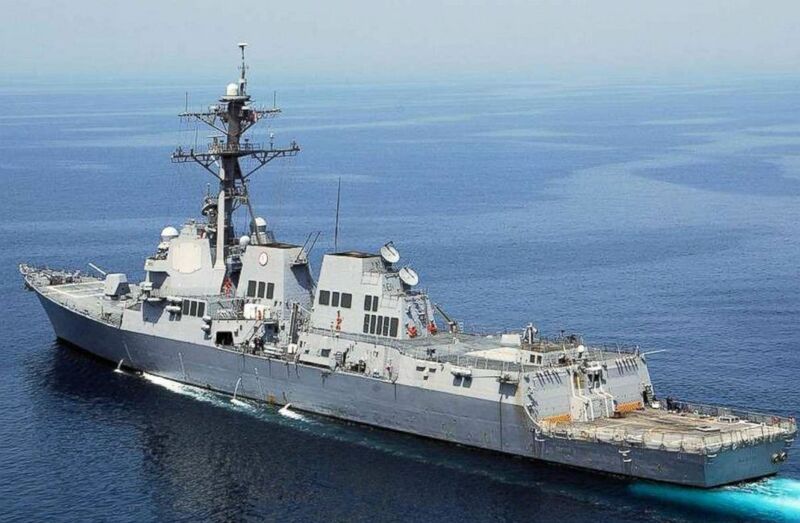 China's Foreign Ministry in January strongly criticized the FONOP conducted by the destroyer USS Hopper past Scarborough Shoal, west of the Philippines. The Hopper's passage "violated China's sovereignty and security interests" and put the safety of Chinese vessels and personnel at risk, a ministry statement said. Guided-missile destroyer USS Mustin leads the guided-missile cruiser USS Antietam, USS Curtis Wilbur and the Japan Maritime Self-Defense Force ship JS Fuyuzuki in a formation for the completion of MultiSail 2018 on March 14, 2018, in the Philippine Sea. The operation carried out by the USS Mustin will likely draw attention to its timing because it comes a day after the Trump administration proposed $60 billion in trade tariffs on China. But the operation may have been coincidental because freedom of navigation operations are planned weeks in advance. “U.S. Forces operate in the Indo-Pacific region on a daily basis, including the South China Sea,” Lt. Cmdr. Nicole Schwegman, a U.S. Pacific Fleet spokeswoman, said in a statement. "All operations are designed in accordance with international law and demonstrate that the United States will fly, sail and operate wherever international law allows.